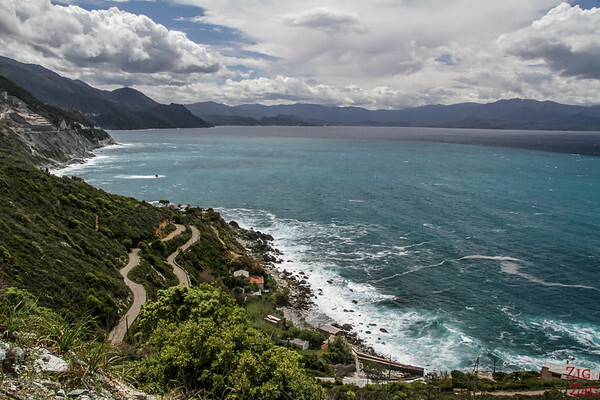 The tour of Cap Corse is one of the most famous drives in Corsica with wild mountains and beaches, charming villages and splendid views. Below is my guide to help you plan your excursion and find the best spots. 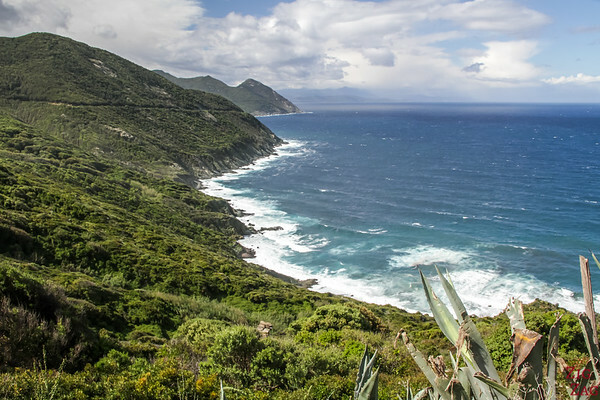 Cap Corse is the 40km long peninsula at the Northern end of Corsica. It is 10 to 15km wide and narrower at its based base limited by the towns of Bastia on the East and Saint-Florent on the West (map further below). The area is covered with mountains in its center: 10 summits above 1000m with the highest point, Cima di e Follicie, at 1322m. These Serra Mountain chain is right by the sea, so landscapes remain quite wild only disturbed by charming villages. 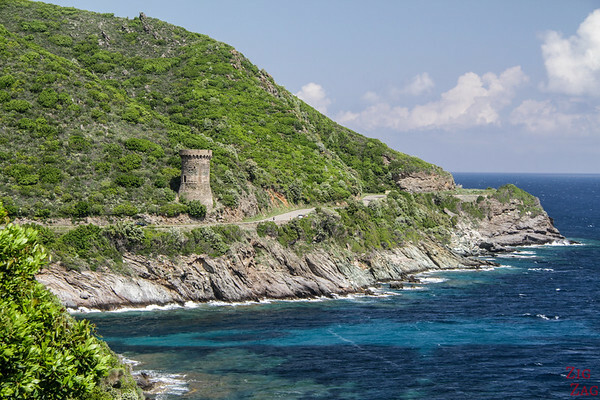 Touring Cap Corse is one of the best drives and places to see in Corsica. Let's start with a short a video show you how beautiful the region is, especially the West coast with the mountains plunging directly into the sea. 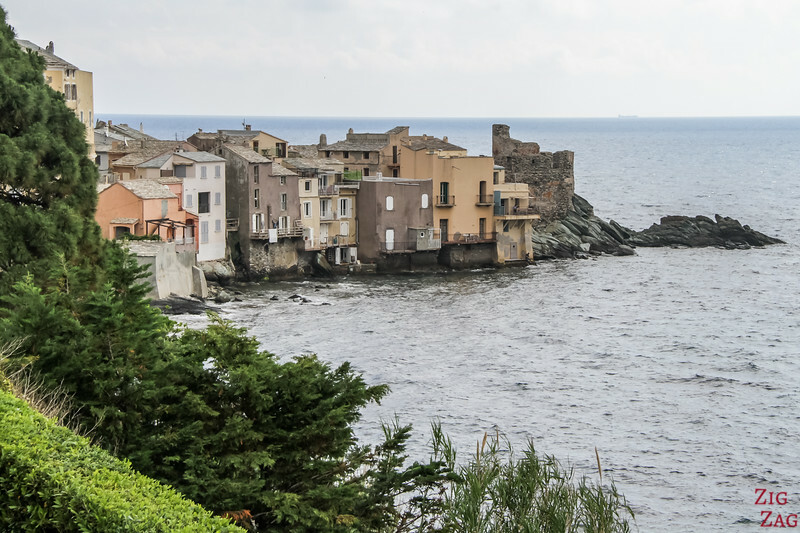 To convince you even more that Cap Corse should be part of your Corsica road trip, I am sharing with you my 5 favorite stops all around the region before giving you tips to plan your trip. 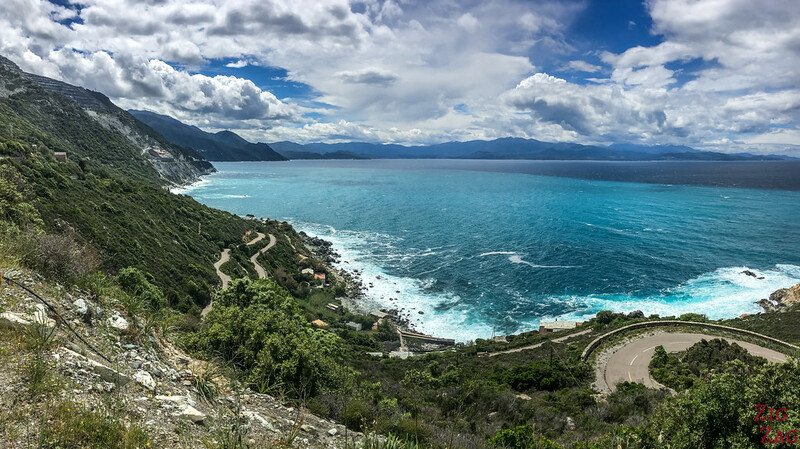 This is the view just before the village of Albo on the West Coast of Cap Corse. 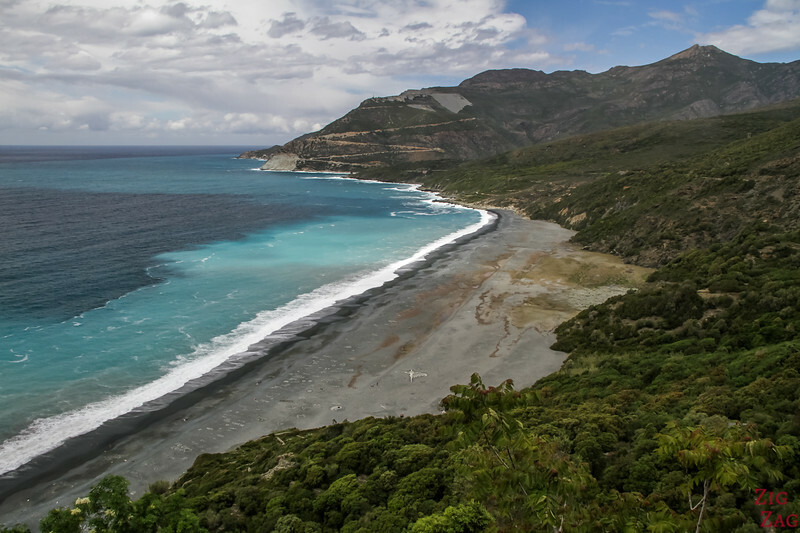 The most famous black beach in Cap Corse is Nonza. 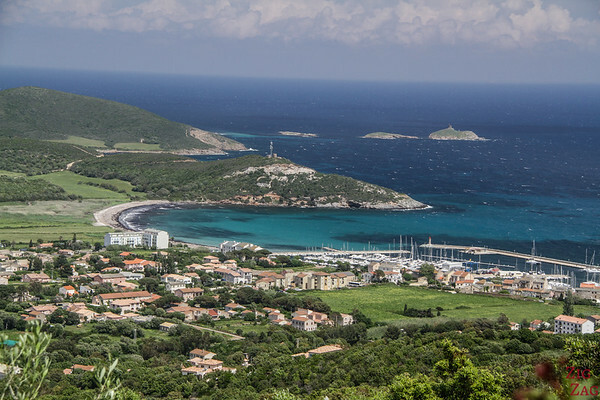 But I really enjoyed the view of the one in Albo as you see the different layers of mountains and a 180° panorama of the Gulf of Saint-Florent. I love how the Genoese tower is located. It dates back to 1562 and could communicate clearly with the one in Nonza. 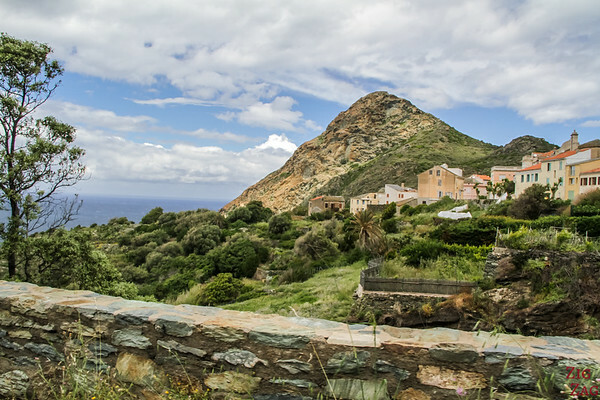 Nonza is one of the most famous villages and beaches in Cap Corse and in Corsica in general. At the Northern tip of the main road around Cap Corse. Moulin Mattei is a unique feature in Corsica. You won't find any others like it. There used to be 13 windmills active. This is the only one that has been maintained in good condition. It has a white circular building with a red conical roof. Today it is not a mill anymore but is an advertisement place of the famous local drink: Moulin Mattei. 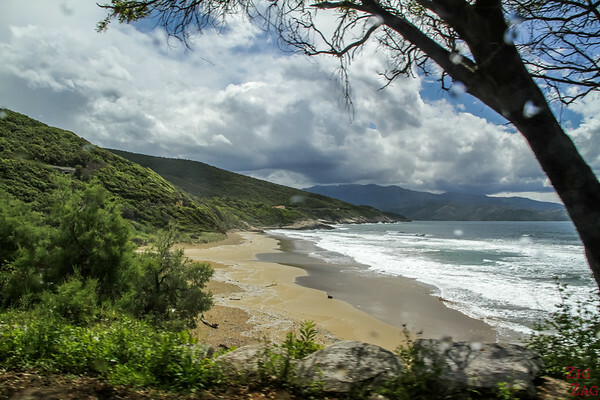 The main reasons to stop here are the views of the West Coast of Cap Corse. 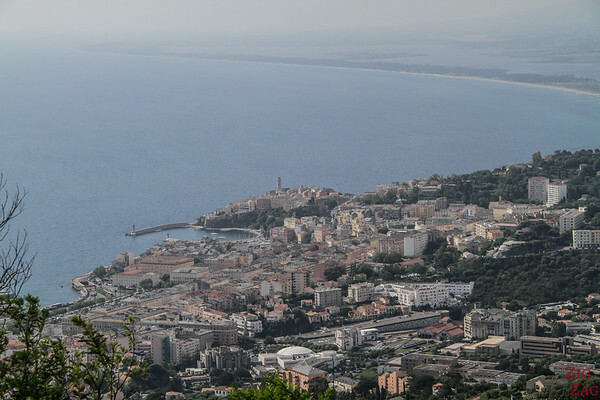 You are at a higher point and you can even see Port centuri from above. Beware though: if it is already windy at the base don't go up with small children. Even I had difficulty walking around being pushed by the wind! A charming village at the beginning of your tour on the East Coast. OK OK. So my favorites are not really off the beaten path, I am sharing some of the classic stops. But there is a good reason they are always listed as the best things to do in Cap Corse! 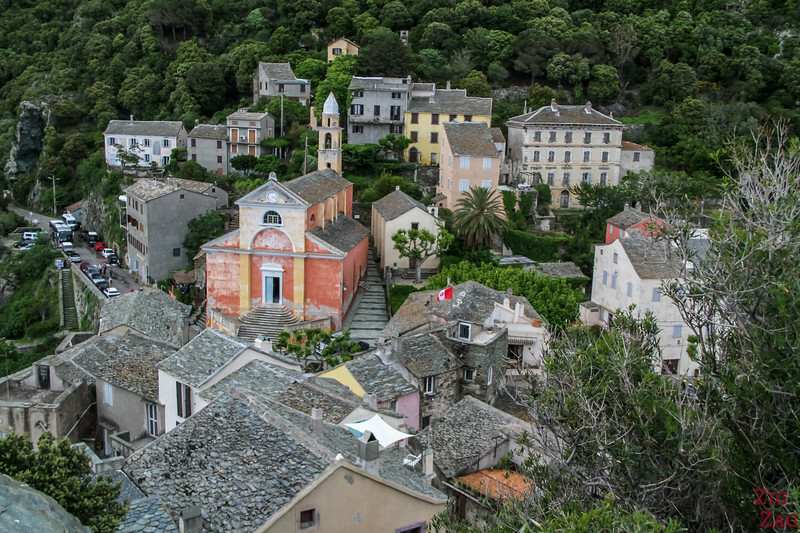 Erbalunga is a charming historical village on a very small peninsula. 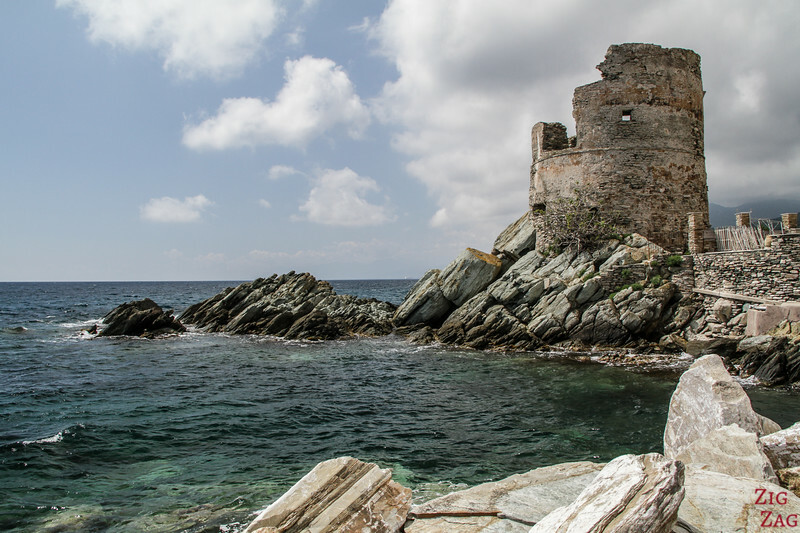 It has colorful houses, beautiful rocks, a small port and the ruins of a Genoese tower. Plus it is really easy to access with a large carpark and proper walking paths. 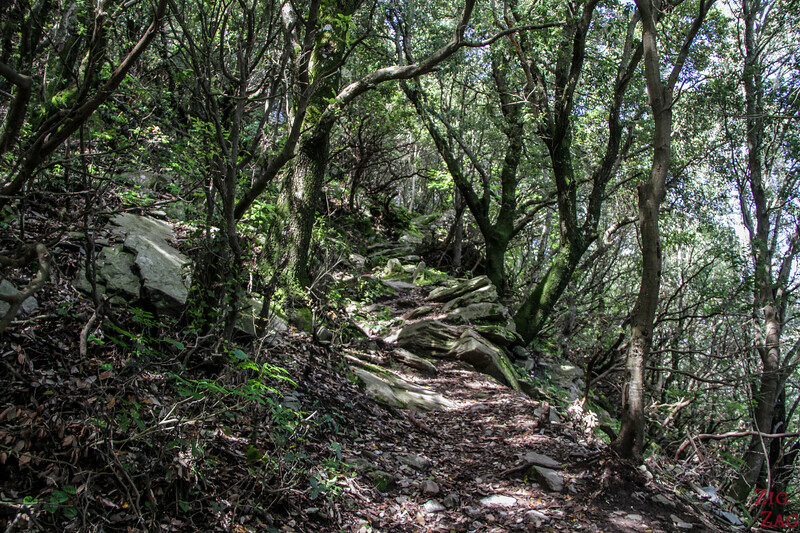 Everywhere in France you can find hiking paths that are called 'Sentier des Douaniers'. It means Path of the Customs officers. They were used to fight against trafficking. 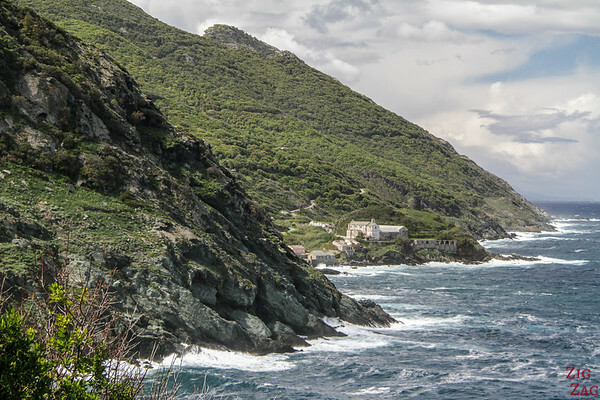 The Cap Corse section is one of the most famous on the island. 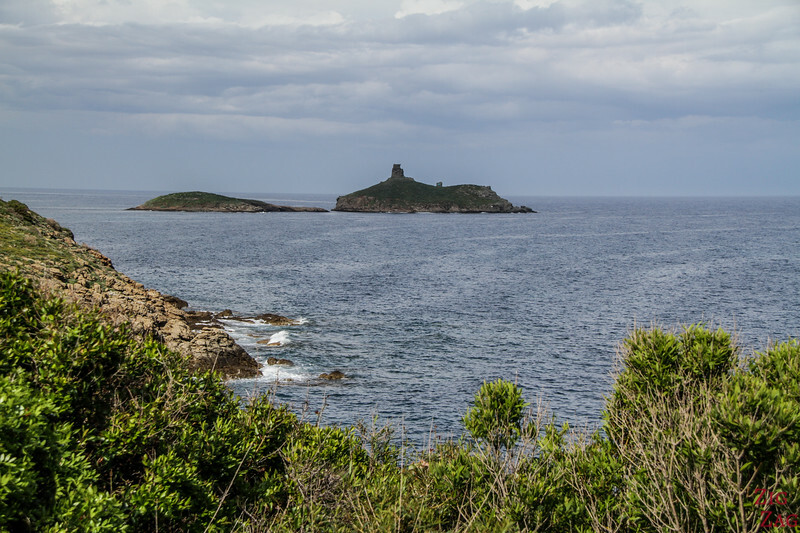 It is a quite easy walk along the coast with views of wild islets and beaches. You can do the whole 18km or you can just do a small part and come back. 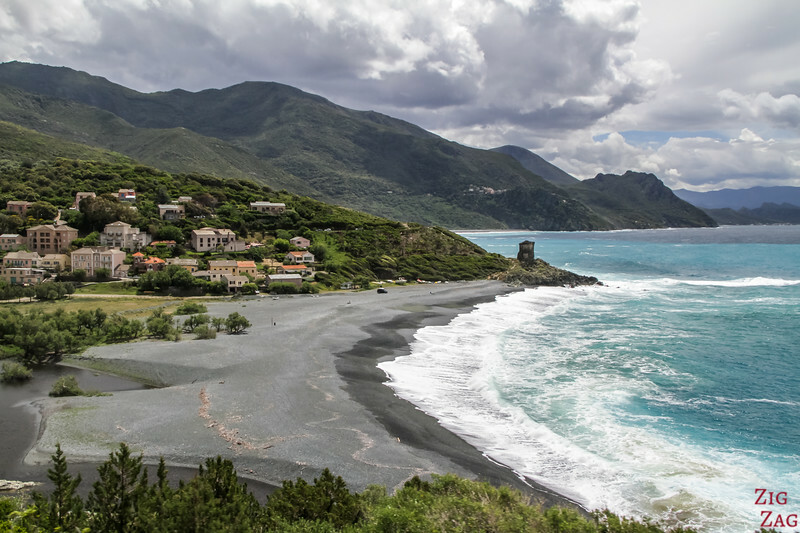 The only great option to explore Cap Corse is to go on a road trip over 1 or 2 days. Below are my tips to help you make the best of this tour, before sharing more photos of all the best things to do around it. Below is my simplified Cap Corse Map to give you an idea of the Cap Corse geography and drive. I have included my 5 favorite stops listed above. Driving in Corsica often scares people. Generally it is not that difficult. It is just that there are no large straight roads. It is winding around the mountains which makes for fantastic views! The road around Cap Corse is not too difficult. There are a few sections on the West Coast that are quite narrow but you can easily cross path with other cars. It just becomes difficult where the cliffs is not straight and you face a bus going in the opposite direction... there you might have to maneuver a little bit. I agree with what everyone is saying. 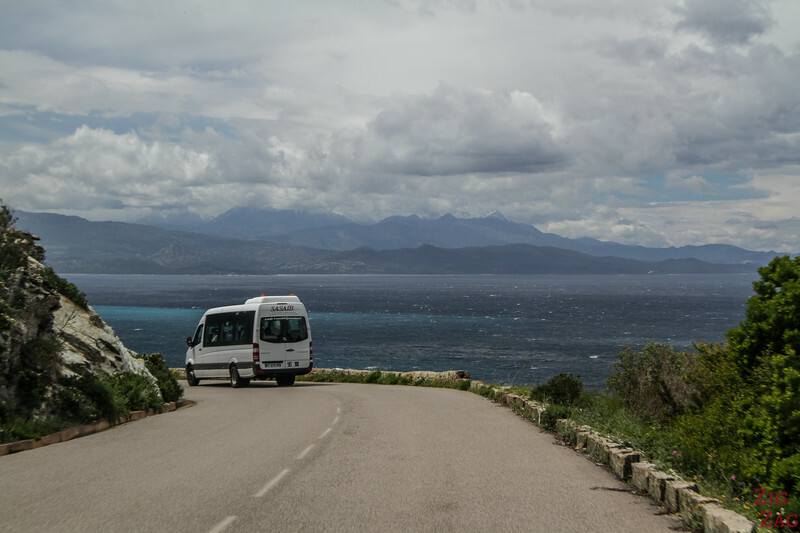 Touring anticlockwise offers the best views, especially on the West coast with the whole gulf of Saint-Florent. 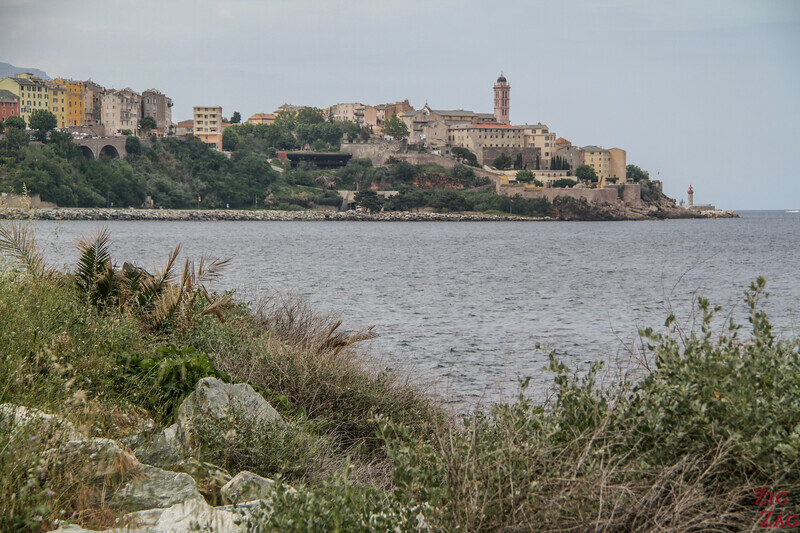 Touring Cap Corse in one day or more? However many recommend touring anticlockwise because it is best for the sun position compared to where you are East or West coast in Morning and afternoon. I am not totally onboard with that. Because driving in the afternoon on the West coast means you have the sun facing you all the time. Not great for photos. It would be good only late in the afternoon as the sun sets. So yes you can easily tour Cap Corse up the East coast in the morning and down the West Coast in the afternoon. 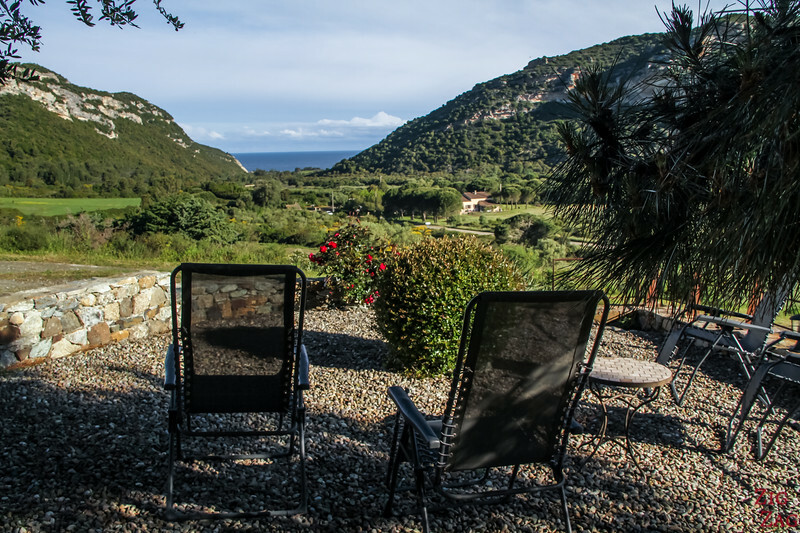 There are limited accommodation options in Cap Corse. So if you plan on staying during high season, make sure to book in advance. 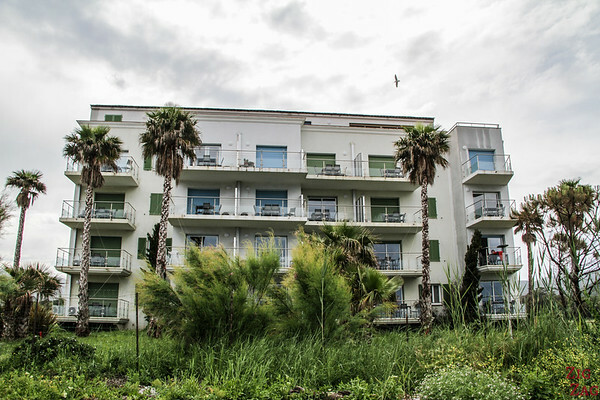 Pros: nice marina, good restaurants, easy parking and beginning of the walk on Sentier de Douaniers so you can settle down in your room and head for a walk. 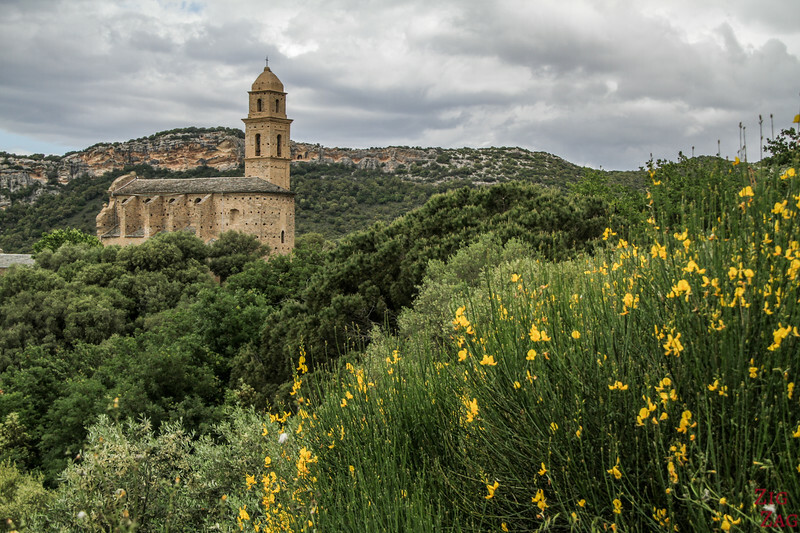 And for a place to stay before or after, check out Patrimonio at the end of this article. 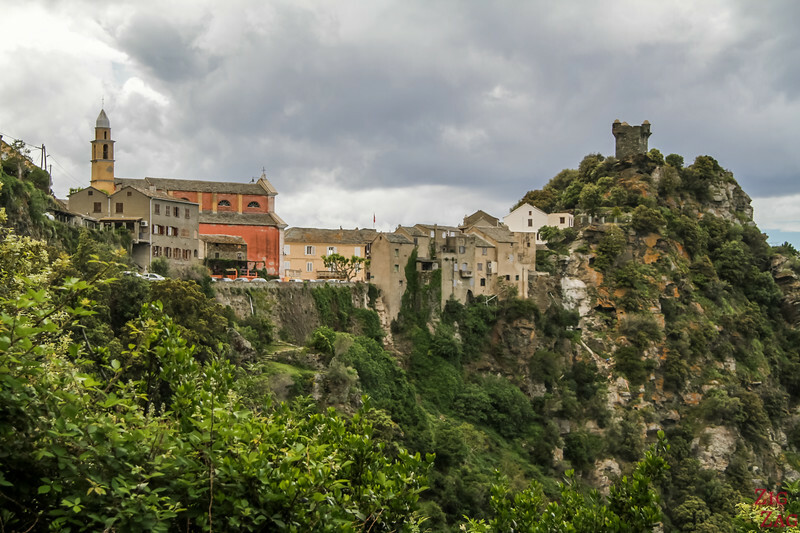 The other main attractions is the Bastia Citadel. It is open to the public. Visit the 'Palais des Gouverneurs' (Governor's palace) - The present structure was finished in 1521. This where the governor's private apartments were, as well as public court rooms, offices, chapels and a prison. 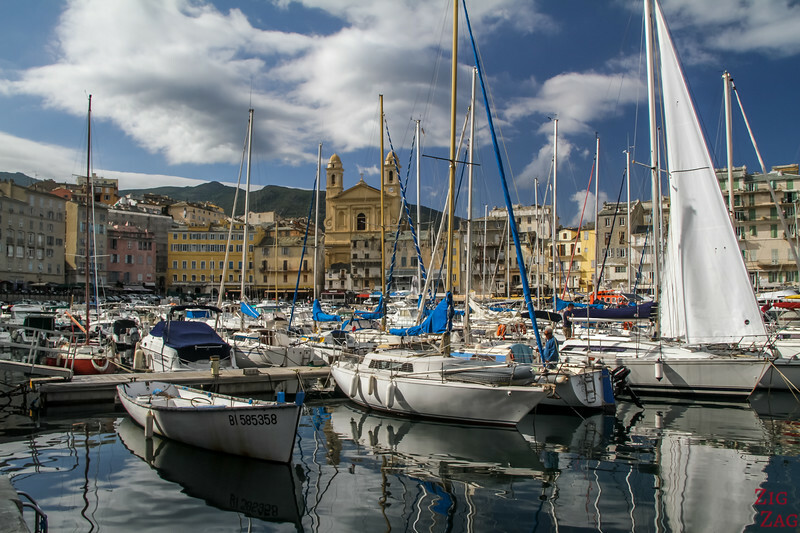 It is now home to the Museum of Bastia with access to historical part of the buildings and displays of paintings and artefacts from Corsica's history. 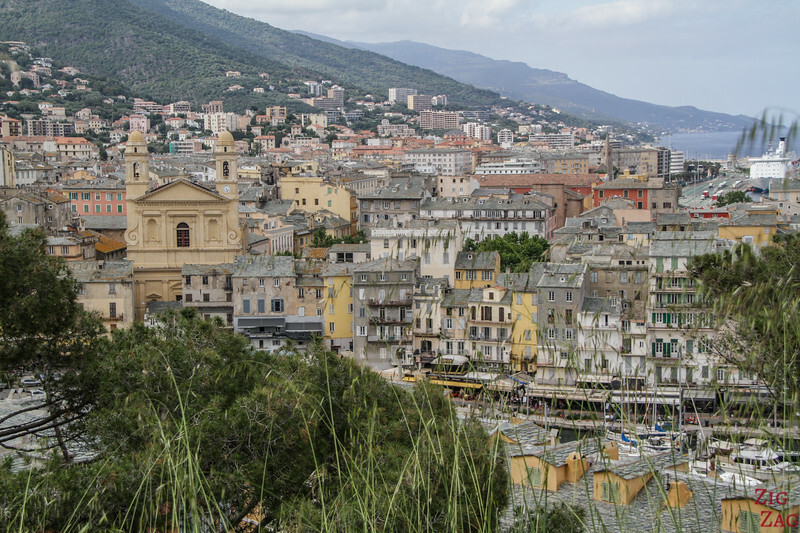 Don't miss the view of Bastia from the roofgarden! 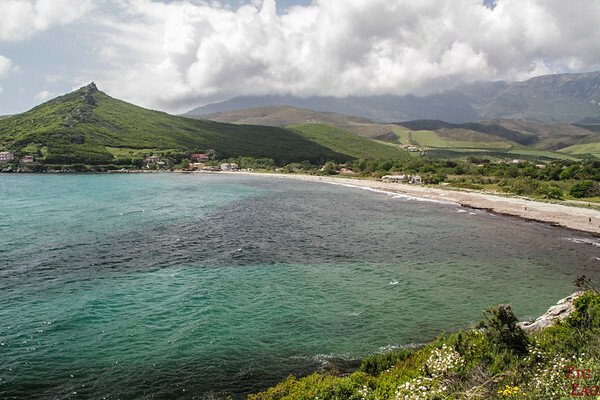 Because of its long mountain chain in the middle , Cap Corse does not have major towns. It is full of little villages spread around on each coast. Many of them (especially on the West Coast) have the main village uphill and a marine by the sea. Erbalunga is the main touristic village on the East Coast. Its old center had been built on a small peninsula that ends with the ruin of a Genoese tower. The old houses have a little color and are strangly pushed against each other as if protecting against invasion. Erbalunga has a large carpark in the city center (for a fee in Summer but free otherwise). From there you can walk up the road (towards the South) to see the view of the peninsula as photographed above. 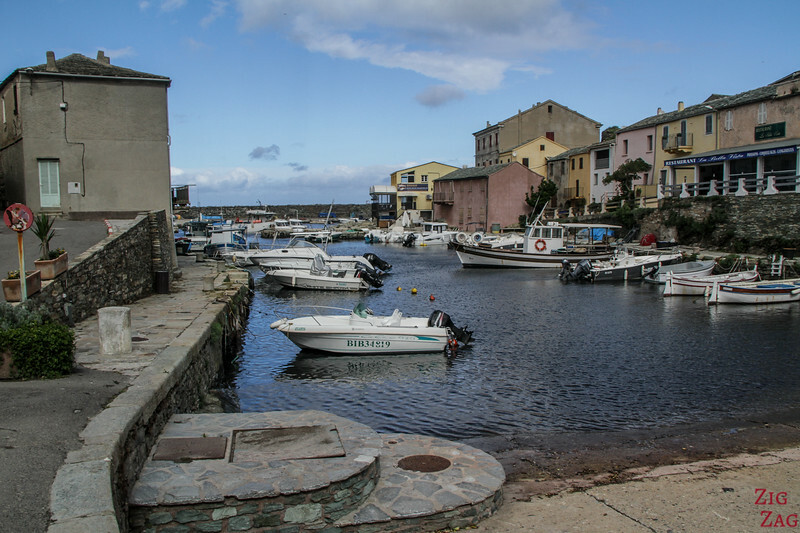 Port Centuri is the marine of the Centuri village on the West Coast of Corsica. It is one of the most active fishing ports in Corsica. It looks wild and attacked by the natural elements but still and standing strong. Nonza is the most famous of the villages in Corsica. And I agree that it is quite unique place to explore due to its location and medieval history. 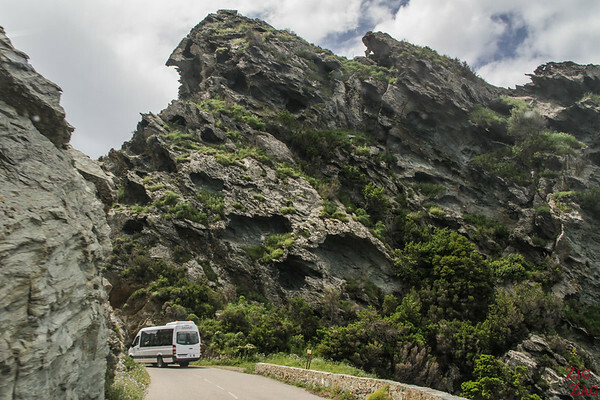 But if you want to take more than 2 days to tour Cap Corse, there are many other villages to discover along the road or inland in the mountains. None of them is really big so it takes 30min to explore them. Several have ruins of Genoese tower but many don't present a special architecture, just a feeling of stability, stronghold which have been established for a very long time. 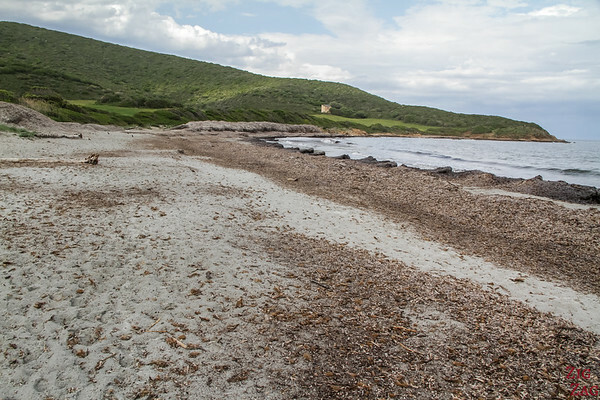 If you are looking for paradise-looking beaches, Cap Corse is not your best bet. 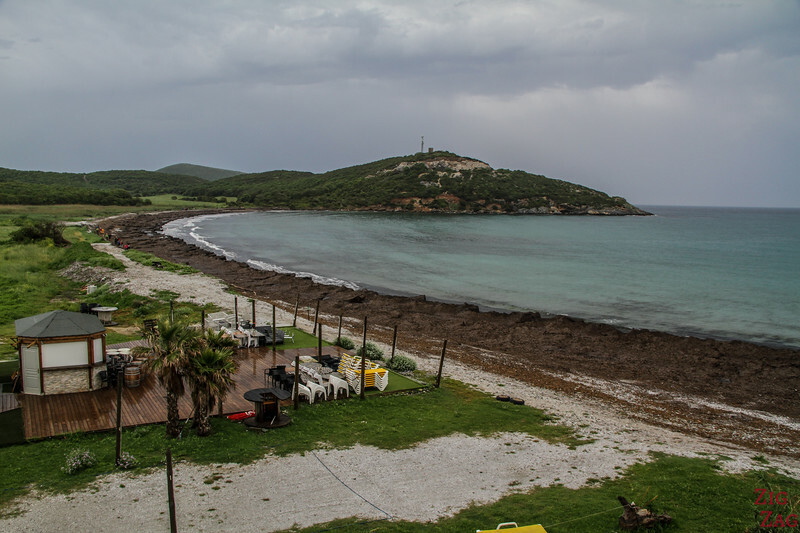 For that I recommend checking out my list of the best beaches in Corsica. The most famous beach is the Nonza one I mentioned before. It is a 1.4km long beach with steep slope from the mountains covered with dense vegetation. The small pebble are black due to an Asbestos mine located further North that was abandoned in the late 20st century. It is best admired from the village. Access is via a steep path. 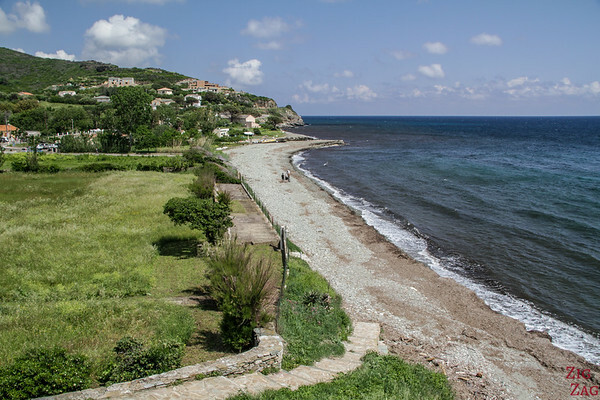 Several maritime villages in Cap Corse have small pebble or sand beaches. 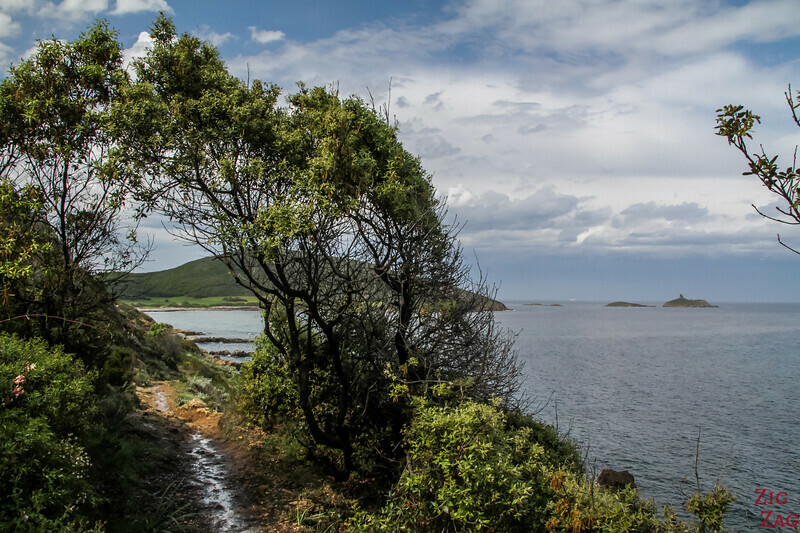 Below is a snapshot of what you could see while driving on each coasts of the Corsica Cape. I have a preference for the West Coast as the tall mountains drop in a steeper manner in the water. It looks wild and magnificent. 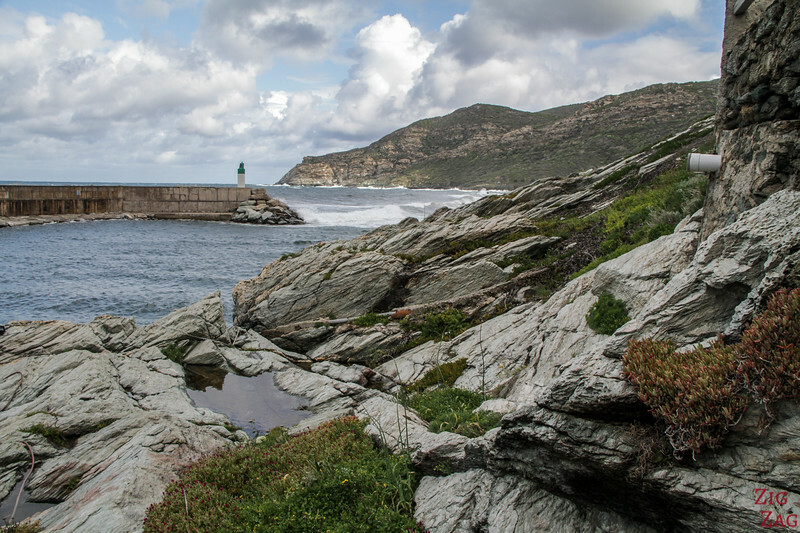 I don't think I need words here, the photo are speaking for themselves I hope, to convince you to tour Cap Corse. 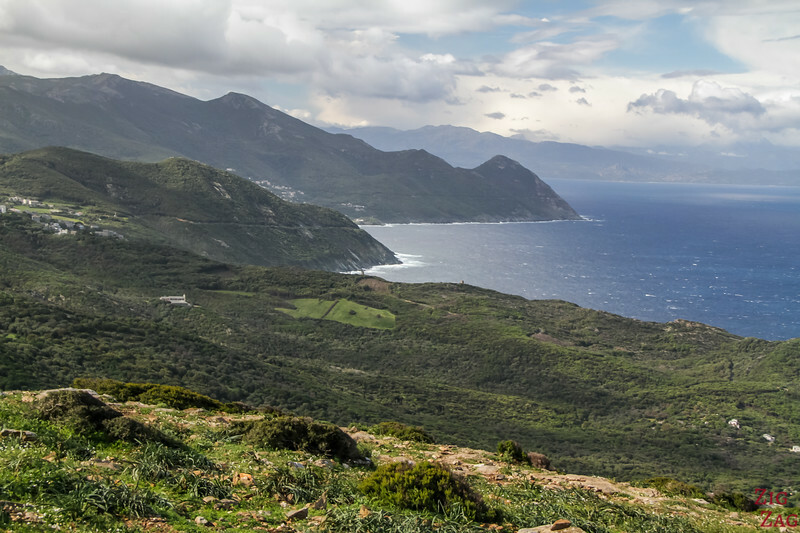 With 10 summits above 1000m and wild areas, Cap Corse is a great place to walk and hike. The Sentier des douaniers start in Macinaggio on the East Coast. It is cleary indicated at the beginning of the beach. 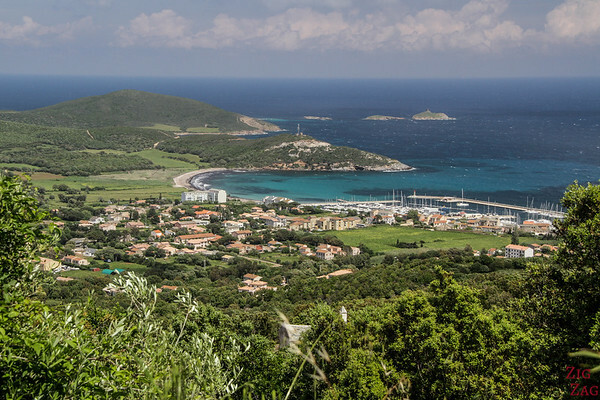 It goes along the coast with great views back to Macinaggio and forward to the Finocchiarola islands (protected for their bird life). 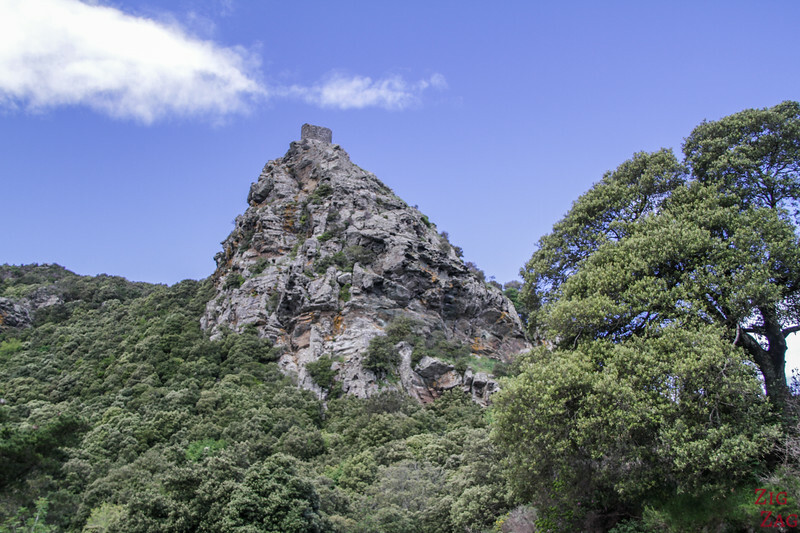 The Sénèque tower is one of the most famous in Corsica because of its location on top of rocky formation at 564m above sea level (see picture above). Thanks to its location it offers splendid views of the coast. The last kilometer up to the carpark is very narrow and crossing path with cars is a challenge. Plus the hike (despite being written as easy) is very steep! 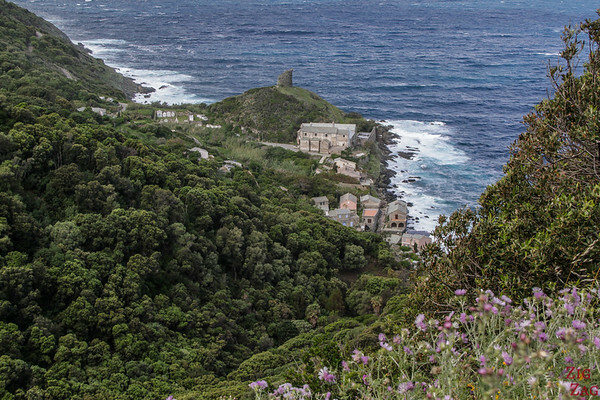 As you leave the peninsula of Cap Corse, you end up in the charming region of Patrimonio. 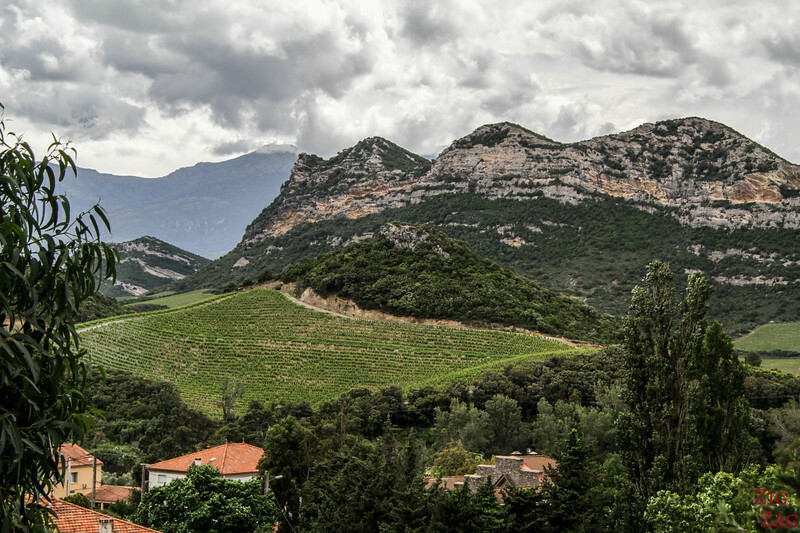 The region is famous for its vineyards between mountains and sea. You can stop by and taste their red, white and rosé. I think it is a great place to spend the night after your tour of Cap Corse. This way you can taste every more wines without driving and the views are great.